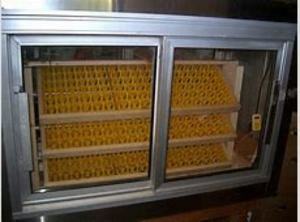 we have a special of fully automatic egg incubators for sale , from 96egg size , 300 , 600, 3000, etc. please contact us for more info. specifications and other necessary info required , please dont hesitate to contact Van der Schyff.. All incubators are new and have a warranty, we also do free installation.